Though a DSLR isn’t essential you’ll need a camera that gives you control over the depth of field (DoF). You’ll most likely be either working at small apertures for maximum depth of field, or wide ones to draw attention to a specific element using shallow depth of field. Many compacts have only two or three apertures to choose from and the small sensors make it hard to produce shallow DoF effects. 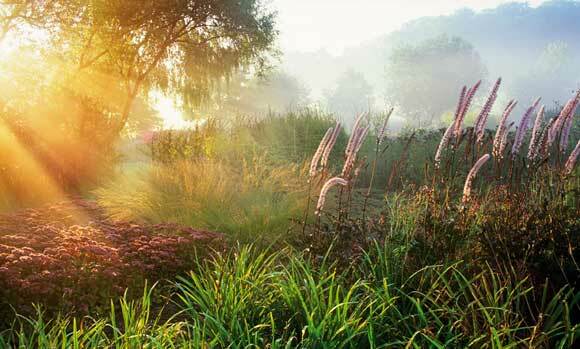 Shafts of sunlight penetrate the morning mist in this beautifully lit image, which was the overall winner. 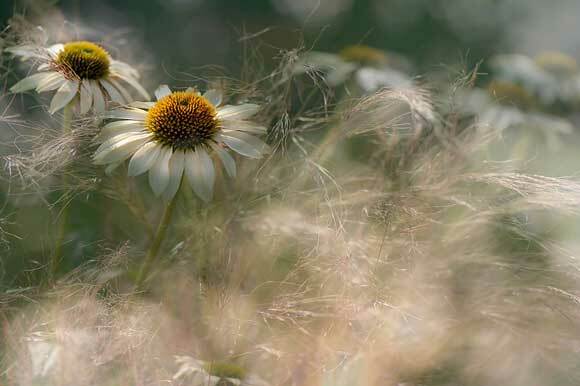 The choice of slow shutter speed has motion-blurred the soft grasses as they swayed in the breeze, while the sturdier white coneflowers have remained sharp. Michael used a 180mm macro lens to isolate this section of a Japanese Hibiscus and create a pleasing composition.